Abigail Nette won her first tournament as an Emmanuel College Lady Lion in the Emmanuel College Women's Open on Saturday. Nette, who wrestled at Destrehan High School, bested 12 other competitors to win the 136 lbs. title. Team scores were not available on TrackWrestling or were not kept, but Nette was the highest placer among the Emmanuel wrestlers. After a first round bye, the second-seeded Nette faced her toughest challenge of the event in McKendree University's Alexia Ward, prevailing 4-2. Ward is ranked #7 at 130 lbs. by Intermat. After that, Nette's matches got shorter. 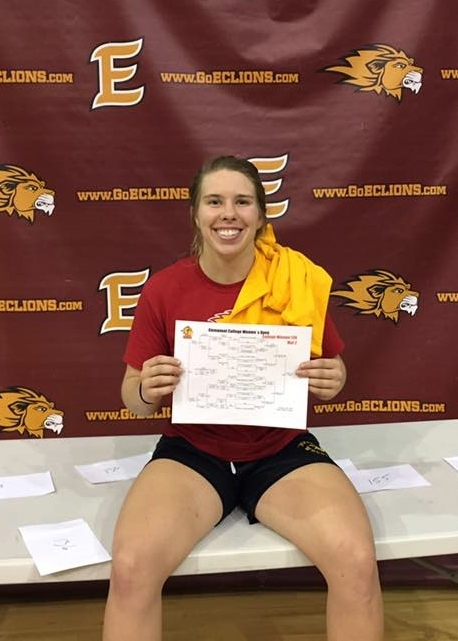 She defeated third-seeded Kristin Yamasaki of the University of the Cumberlands by a 12-1 technical fall in the semifinals, and won the event with a 14-4 technical fall over Darla Adam (who was wrestling unattached to a team) in the finals. Ward placed third and Yamasaki placed fifth. On October first Nette won her first match as a Lady Lion a dual meet against Lyon College of Batesville, Arkansas. 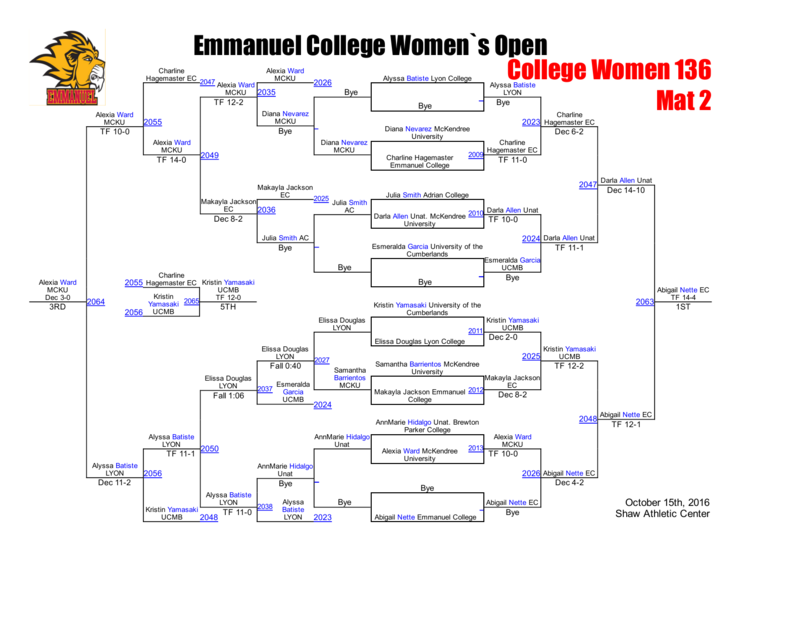 In Emmanuel's 27-19 win, Nette defeated Elissa Douglas via a 10-0 technical fall. On Friday, October 14th, Emmanuel hosted a tri-meet with McKendree University and Life College. Results against Life College were not available, but in a 37-10 loss to McKendree, Nette was the only Lady Lion to win an actual match (two other Emmanuel wins were via forfeits). In a prelude of the next day's tournament quarterfinals, that match was against Alexia Ward, and Nette prevailed by a 9-8 decision. Emmanuel College is located in Franklin Springs, Georgia, which is approximately 100 miles northeast of Atlanta. Twenty-six young ladies are on the current Lions' roster. They compete nationally in Conference Carolinas in NCAA Division II. The Lady Lions will next participate in the Blue Chips Athletic Open, starting on Friday, October 21st, in Oklahoma City, Oklahoma.